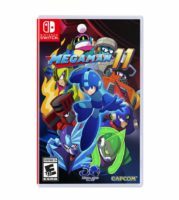 Is there anything in particular you had to keep in mind while making Mega Man 11, the first new game in quite a while? The series has a long history overflowing with rich scenarios, however, we made sure to avoid creating something that directly relied on this history. We couldn’t allow the project to become a game made by us old guys for other old guys. We told the development team that this was a clean slate, and that we were going to rebuild it from the ground up with that in mind. Was that a difficult task? We told them that as long as they held to that condition, they were free to interpret it and tweak it as they saw fit. We didn’t want to restrict them too severely – everyone on the development team is a professional, after all, and they all have their own unique methods of approaching a problem. I had high hopes that they would find interesting solutions that I hadn’t imagined. There were numerous examples, but the one that stands out the most is the new Double Gear system. I had said something about placing old fans and new players on equal footing, and one developer took my simple words and created this new gameplay mechanic from it. The subtitle in the Japanese version of the game is “The Gears of Fate! !” What’s the meaning of this phrase? Throughout the Mega Man series we have these two old scientists: one an ally, one an enemy. In this game they are facing off over this new technology, these gears. So this part of the title has a double meaning, referring both to the new Double Gear gameplay mechanic and to the storyline. Around how many people were involved in development? Around 40 people. A rather small number compared to recent development teams. Yeah, most game development teams are counted by the hundred these days. There are certainly benefits to a larger development team, but with so many people it means that some are unable to affect development across the game as a whole. With around 30 people it feels like you’ve got just enough staff for the project. It’s very clear what aspects of the game each person is in charge of, so they can be completely sure of their goals and keenly feel responsibility towards them. I feel like the development team was the perfect size for a project of this sort. Mega Man is one of Capcom’s historic properties. Was the development team comprised entirely of veterans? It was a mixture, which is actually what I wanted. If it were comprised of only veterans, then the game would have resulted in being made up entirely of things they had wanted to accomplish in the past but had been unable to. We tried to strike a balance between veteran developers who had worked on Mega Man, veterans who hadn’t, some mid-career developers and some totally new blood. We wanted a team which possessed the ability to look at challenges with fresh eyes, in ways that myself and Mr. Oda could not. To that end, I think we were quite successful. Seems like the team’s composition was very important to you. In this newest entry, even as you took on the challenge of implementing new gameplay systems, you were set on making a side-scrolling action game. I know that there was a great deal of speculation from fans as to whether it would feature pixel art, like they were used to from past entries, or 3D models. We didn’t want to make Mega Man 11 just to rely on on memories and nostalgia. After an eight-year gap, our goal was to create a new standard from which the series could continue onwards. While it’s true that Mega Man fans have a fondness for pixel art, it’s possible that younger players may not be used to such a style. We set out to maintain the legacy of side-scrolling action, while using 3D graphics to expand our overall reach. Is there any technical aspect of the game you’d like to spotlight? Bringing side-scrolling action properly into a 3D engine required precise adjustments. When viewed directly from the side, characters appear to warp as they run towards the edge of the screen, similar to the way that an image is warped as it approaches the edge of a lens—the coordinates are distorted. If the viewing angle of your character and the enemy you’re firing at are different, it feels strange and fails as an action game. We had to make careful adjustments to ensure this didn’t happen. If the plane is completely flat, any sense of depth is entirely lost. We tried out dozens—hundreds of different depth settings until we finally achieved the right one, such that it held the effect that the bridge on which Mega Man was standing and the wrecked one in the background were on different planes. This is less of a cutting edge technology and more of pure handiwork. There’s something nice about a game that doesn’t just chase the cutting edge, don’t you think? The experiences that people seek from Mega Man are different from the ones that they seek from photo-realistic games with cutting-edge graphics. I believed that we needed to set our sights accordingly. Are there any other measures in place for new players? The interactions between elemental weapons. As the series went on, creators often tried to avoid having the vulnerabilities spoiled by previous games, and so it all became quite complicated and you couldn’t tell how things worked at a glance anymore. This time we told the developers that we want every elemental weapon to be something that even a child could understand. A new animated TV series began airing in the USA in August 2018, and we wanted children who watched it to think “Oh! Using an ice weapon would win out against fire, right?” if they tried playing the game. It may have been used in a previous game, but even so it would be part of the games appeal for them. Or so we hope (laughs). You mean that you hope that the original, core appeal of the series will hit home with a new audience? You mentioned the animated TV show in the USA. Mega Man really does turn up in a lot of places outside of video games, doesn’t he? Well, the Mega Man brand has just seen its 30th anniversary, and so there are all kinds of licensing deals involving clothes and other things. I think it appeals to a wide range of ages. We wanted to further expand our younger audience, those who will support Mega Man in the future, and that’s how the TV show came about. We made the TV show to stand on its own, so that you can enjoy it even if you don’t know anything about Mega Man. We’ve also made an array of merchandise with our longtime-fans in mind. With limited rereleases and special events like July’s concert, we’ve planned a number of ways for our fans to join us in celebrating the 30th anniversary. In closing, could you give us a special message for all the fans who were waiting for Mega Man 11? I believe that the reason that the Mega Man series has lasted for 30 years is because the games are truly high quality; some would even consider them to be the gold standard for action games. And perhaps the appeal of action games is that they’re fun to play, regardless of language or culture. When the 2016 release of the NES games in the Mega Man Legacy Collection went on to sell more than 1 million copies worldwide, it showed us that everyone was waiting anxiously to play Mega Man games. The fans all showed us the potential that Mega Man yet holds, and it was an enormous encouragement to the Mega Man 11 development team. 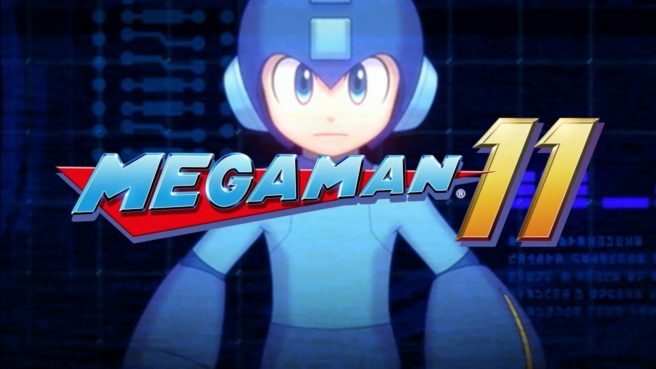 Following Mega Man 11, I hope that the brand will live on for another 10, 20 years or more. I like to think of myself as a single gear, doing my utmost to push along this great machine, and that even after I retire from the industry, the torch will be taken up by the younger generation. We’ve put together an excellent action game for you. I hope you’ll enjoy it.